Our national legal practice requires a person with a minimum of two (2) years’ experience in a legal office plus a qualification in Business or Legal Studies to join the Sydney head office team. Experience in commercial or insolvency legal process highly regarded. Our firm has ISO 9001 accreditation for Quality Assurance. The successful applicant will be working with a highly organised and skilled team who are supporting the directors and multiple fee earners within the commercial / insolvency law practice. We have a relaxed yet highly professional atmosphere. This is a long term permanent employment position for the right person. A working knowledge of Affinity matter management system is an advantage, however full training will be provided. The position description contains tasks that require experience in dealing with a wide variety of people and cultures as well as ad hoc tasks and administrative duties. The successful applicant will have a willingness to undertake both equally. Your application needs to address how you meet the criteria of experience, attributes and tasks. 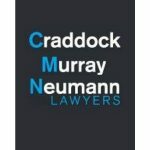 Please provide your covering letter and resume of no more than six (6) pages; including two (2) contactable referees via email to careers@craddock.com.au marked to the attention of the Human Resources and Operations Manager. People of the Aboriginal and Torres Strait Island nations are encouraged to apply for this position. NO Telephone contact will be taken. NOT suitable for Law Students or Graduates.